Interviewer: What prompted you at such an early age to get involved in metaphysical studies? Alijandra: There was never any time that I wasn't involved or interested in metaphysics. It was always an “of course” to me when metaphysical or quantum concepts were presented. I was an avid reader, experienced many unusual events at a young age and felt connected to the starry nighttime sky. I also connected deeply with nature, particularly the ocean. I was told by a very spiritual person that I came into this life without the usual “veils” people have over them. Interviewer: How did you discover that you had the gift of being a healer? Alijandra: I was always attracted to how the physical body worked. I would spend a lot of time looking at anatomy books, and photos of heart transplants that had just started to be done. I was an empath and intuitive and just “knew” I was good at healing. I worked as a nurse's aide while in college, then entered nursing school but eventually found it wasn't for me, although I did finish, get my college degree and pass the boards. I don't feel it was a waste of time, although I think my family thought I was a bit nuts to spend that long in college and not utilize either of my two majors in any obvious way to them. But, I feel that the experience gave me a more profound understanding and knowledge of the physical body. I would even include the mental and emotional bodies, as we also did a Psychiatric Nursing rotation. I have also utilized my experience in OB/Gyn and the nursery but occasionally doing midwifery (being a coach during labor and delivery) with one of my sisters, and some friends and clients. I also train people in a psychic or intuitive form of triage for emergency situations, chronic or incurable diseases. People who know me say I am good in an emergency. I stay calm and centered and take charge when others don't know what to do. I am the “go to person” spiritually in my family when something weird or at least unusual to them happens! <laughs> I have been saying for many years that I have “hard wired” to do this work, what I consider my mission in life. Interviewer: What books and programs have you authored? Alijandra: My first published book was “Healing with the Rainbow Rays” in 1995, It is currently out of stock, and I will be re-editing it soon. It was considered very cutting-edge and pioneering and still is. My next book was “Cosmic Chakras” in 2006 and it will also be re-edited. It was the next level to the first book. I am concurrently working on a few books. A new e-book just came out called “Rainbow Dolphin Pod Healing: Partnering with the Dolphins to Heal the World”. Besides the color energy healing curriculum, I teach my program of Transfigurational Matrix Healing, the dolphin material, the mystic arts, an unifed ascended mastery program, and the new Rainbow Liquid Light program is being assembled and used on private clients at this time. It will soon be in a book form and taught. I am also considering an apprentice teaching program in the next year or two. Interviewer: Why are you so attracted to Dolphins? Alijandra: I have had strong feelings about them for as long as I can remember, in addition to visionary and personal experiences with them. I intuitively knew that they were a superior species with much to offer Earth and humankind. They are orginally not from earth, but colonized it. A few years ago, a medium friend came up to me and told me that the dolphins wanted to work with me in healing the earth. Some time later, I developed the dolphin pods of healers to partner with them in clearing, cleaning, healing and balancing the earth. 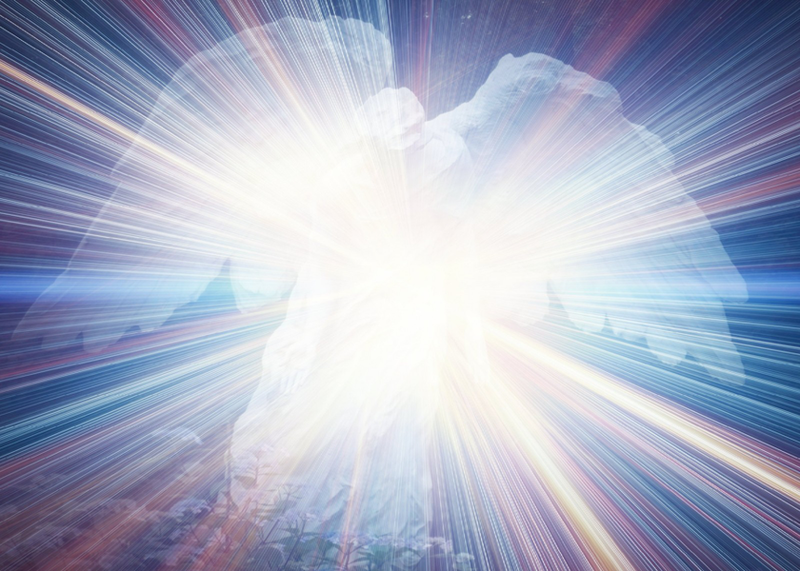 They come in spirit or etheric form, depending on if they are nonphysical on the other levels, or are still incarnated on Earth but in an out-of-body form. We connect with them metaphysically through a particular process involving chakra linking. Then we connect with the other pod members and their dolphin partners to do specific healings or general whole Earth healing. It is my tithe, in a sense, to the planet, and to the dolphins, our wonderful ambassadors. Interviewer: What is your philosophy in living life to the fullest? Alijandra:For me it is to live outside of the box; not that I never go in it, at times, if the box has things in it I wish to experience! <smiles> I like being a little eccentric, a lot unusual, cutting-edge, my own person. I find travel very expanding and enlightening, especially to other continents. It reinforces my feelings of global consciousness. I adore the nature kingdom, devic kingdom of the fairies, elves, etc. and the animal kingdom. I love my son and daughter. I also love the arts, film, music, dance, crafts, being in and on the water, flying when it is a comfortable airplane ride, the sun, the full moon, and the starry night sky. There is so much more to experience. I am working on reversing the aging process to live my fullest life until when it is time to go. I feel connected to other beings not on this earth. Interviewer: Can you share some personal experiences people have had by working with you? Alijandra: Certainly. The most gratifying and humbling thing for me to hear is, “You've changed my life”. Of course, I am only a facilitator, a coach, a healing conduit, but it is wonderful to hear how people have allowed themselves to come back into balance by being open to the transformative energies of the Universe. We are partners in that metamorphosis. That being said, there have been so many instances over the years of healings taking place. I am a believer in that I think that there is nothing that can't be healed. The human body is an amazing creation. God is infused in every cell of us, if we but tap into it. Our very DNA is sacred. There have been cases of improved health such as endometriosis clearing up in one brief session, repeated sinus infections being eliminated, abdominal cancer mysteriously disappearing, migraines vanishing in a very shortened time frame. My very first client was a woman born with only about one third of an intestine. She was not able to eat spicy foods, cheese and other foods, producing only one hard bowel movement a week. After one session, she began having soft daily bowel movements and was able to eat previously problematic foods. This woman had just spent thousands in the hospital for tests and at the end of her two day stay they told her that there was nothing that could be done. A year later, I checked on her and it was holding. But these “miracle” cases are generally not the norm, I have found. Most people are substantially improved, but it is a matter of them changing their thinking, connecting deeper to their feelings, looking for the causes, learning from their situations. It is a process. I work with them at all levels, particularly spiritually. I have done transition work with helping people “die” and go to the Other Side. First, there is the cleanup work which is very important. They are so grateful later that they have less “stuff” to contend with on the Other Side. And then the actual process of transitioning is where you can help with the power of the violet ray. I am currently helping a family member in hospice who will be going any moment to make her transition much easier. Interviewer: What does it mean for people to be in balance? Alijandra: It is their birthright. It is supposed to be that way. Unfortunately, the difficulty on this plane is staying in balance. There is so much misaligned energy created by the mass consciousness that contributes a certain pressure to potentially throw us off balance if one isn't staying in the Now, and in touch with their inner self. Adding to that, we have also bought into the notion that we are separate from each other, the other beings on this earth and Mother/Father God. That doesn't mean we are to become co-dependent but realize we are inter-dependent, and yet, part of the Whole. Interviewer: Why and how does color energy help people to heal? 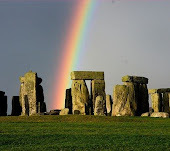 Alijandra: In the first part of my book “Healing with the Rainbow Rays” I say “Your mission at this time is to heal yourself and then help the planet in some way.” One of the ways to help people heal is through color energy. We, as beings, are very sensitive to the power of color to affect our moods, heal us, even to disturb us if the hues are discordant. Color is frequency of Light. This Light is from Source and it contains the rainbow rays of color. They aren't just for healing body, emotions, mind and soul, but for enlightenment, attunement and communications with intelligences beyond our five senses, The type of color healing I do and teach is to bring these frequencies through us from Source and the multiverse out to others, rather than using physical lights, paint and fabrics, and more physically based sources of color. They work, of course! But I am here to spread color through the power of intentional healing. 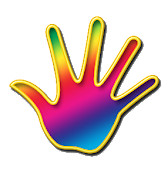 For more on this subject, I have many articles on this form of color energy healing on my website www.colorhealing.com on the Home page. On the right side column half-way down is a list under the title “Articles”. Interviewer: What is your formula to happiness? Alijandra: The bottom line is that one must get in touch with one's soul. Once that connection is made it becomes imperative to bring the other aspects of oneself into alignment through the healing process, cellular/genetic clearing, opening up the heart chakra, acknowledgement of feelings, deep understanding in all ways, bringing the brain hemispheres into a balanced brain state, working through unresolved karma and life lessons. Realize that this is a lifelong practice that does not end at the time of death or transition. It goes on, this process of evolution, until we are again merged at the highest levels of the Godhead. Also, being in the Present Moment or the Now is the key to happiness. Now, sometimes the soul connection isn't as strong initially, or even disconnected, but that with these practices listed above it will lead you to the state of soul realization. Interviewer: What would you like our readers to know about you and your services? Alijandra: My greatest desire is to be of service to humanity by bringing forth tools to assist others in being in touch with their own divinity. My mentor St Germain says that large intergalactic openings are going on in each person's body. This is bringing about a huge escalation of awareness because the earth is multiuniversal. And as we feel the intergalactic openings within us, it is also concurrently going on around us, as well. Beings from every dimension and every galaxy throughout the Universe are currently on the earth plane. This is creating a massive upheaval. There is a finishing of karma on all levels and now the doorway is open for those ones with the vibration of Bliss to do their work. Thanks for taking this time to speak with us, Alijandra. I've really enjoyed reading your first book, Healing with the Rainbow Rays: The Art of Color Energy Therapy. And I understand you're working on another one to be released next year. We'll talk about that plus some of the other things you are involved with in a moment. But first I wanted to ask you a little more about a concept you introduce in Healing with the Rainbow Rays. You talk about the "Rainbow Warriors" and how this is the group of people on the planet right now who have awakened to their spiritual nature. These are the healers or the "lightworkers" who are feeling called to help balance the energies of the Earth and bring vibrations of harmony onto the planet. How long have you known that you were a Rainbow Warrior? Do you feel that you've always been on a healing path? What's it like to know that you're a healer? Alijandra: First off, thank you, Jennifer, for our chat today. I have known that I was a "Rainbow Warrior" since hearing of the term in the early 1990s. Certainly, I knew that I was a pioneer in my field, which really is like being a warrior in that you are usually given many obstacles to overcome. And I have been aware of my general mission of a deeper dive (than what had previously been accepted) into the rainbow energy since the mid 1980s. As I grew into adulthood, I suspected that my career would take a healing direction. When I was a child, one of my favorite toys was a doll whose organs could be taken out, painted and reassembled. She came either pregnant or non-pregnant--your choice! Then I kept a scrapbook of Life Magazine photos of the brand new heart transplants just beginning then. I originally trained as an RN. I ended up burning out by the last semester of an extremely rigorous program. So I finished up, took my two-day boards, passed and held my license, non-practicing, until it expired. While I haven't directly used the training, I believe that I have indirectly utilized the knowledge in my non-traditional healing work. Being a healer has always seemed to me as easy as breathing. My only explanation for that is the past lives theory where I was a healer many, many times. It's almost like "been there, done that," but it is important to do this kind of work at this particular time in Earth's history. It is as though all of us who have done it in the past and refined the work we were doing are now applying it to the difficult passage of Earth into her ascension. That is one thing that Rainbow Warriors do. There are many different "jobs" that they have. In my own spiritual practice, I work with many different helpers and guides, and some time back it was shown to me that the Rainbow Warriors also exist on the inner planes. They showed themselves to me as the spirits of American Indian, Celtic, Aboriginal, and other indigenous peoples who work as guides to the many healers who are "down here" in the world of 3-D. Do you find yourself working at all with indigenous guides when you are doing your healing work with people? What sort of guides or helpers do you find yourself working with? There can be so many helpers, can't there? It seems like there are a lot of advanced beings "rooting" for us and trying to help us to evolve! Alijandra: Yes, the Rainbow Warriors exist on the inner planes, as well. And you are right, they often are the spirits of indigenous peoples who are helping the healers on the outer levels. I have had (over my lifetimes) many from the indigenous guides as my helpers. I have had a strong spiritual guidance group over much of my life, but I found that beginning to shift several years ago. There were actually "changes of the guard!" Initially, when this happened, I found myself having a somewhat hard adjustment to that as it kind of felt like family moving away. They let me know that as I was evolving, my guides had to change to best be able to help me. The worst case of this was when I "lost" St. Germain several years back. He had been telling me to bypass him and go directly to Source for my answers. I had been depending on him for so much, including emotional support. He was always "family" to me. Then Source Itself moved him away to some other duties. For many years, I mourned his absence, but I did start going directly to Source. And also Quan Yin replaced him in her role as guide, which helped some. It has only been a little over a year, but St. Germain is back. I had passed a number of tests, as well as spiritual initiations, so he was allowed back. And he is as opinionated as ever! You've been drawn to work with color for some time now, and you share many of the healing techniques you've developed in your book Healing with the Rainbow Rays. Can you tell us more about how color rays affect the physical body and the auric field? Why is color so important, and how does it influence us? Alijandra: Color is so important to us because it is the frequency of light. Light is a major reason why we can even survive. Each color hue and shade vibrates on a specific frequency. "Laser light energy" of color, which are the rainbow rays, heals the body, emotions, and mind and also aligns the spirit. When there are imbalances within any of the "bodies," the color energies bring them back to a state of wholeness. While the physical methods of healing with color are very effective, I still find that the metaphysical methods work even better as the color is then not limited to 3D frequencies or pigments. The metaphysical way of "running" or channeling color is to tap into that universal flow and allow it to travel through your being and be directed out, usually through the hands. Color energy can also be directed through a chakra. For those who might want a definition for chakra, it is commonly viewed as a "subtle energy center in the body where a concentration of nerves congregate; a particular gland, organ, and level of consciousness is associated with each chakra." What is coming through the healer is what is determined by our guides and inner selves to be what the client is needing to clean, balance or replenish his body to a vibrant, balanced state of being at all levels. It is a jump-starter for the one in need, as he often doesn't have the strength to manage to do it all by himself. The color gives a fresh influx of beautiful energy which gives the one in need a new beginning and a great chance for full health restoration. What are some of the ways that we can learn to incorporate color into our lives? Does it matter what colors we wear or what colors we surround ourselves with? Some teachers have even taught that the colors in our foods can influence us. Have you found that to be true? Alijandra: Yes, it does matter what colors surround us and what we wear and eat, but it will depend on the sensitivity level, the imbalance factor, and the receptivity capability of each individual as to how impacted they would be. If you are in a good state in all your bodies, i.e. physical, emotional, mental, and spiritual, you are less likely to be thrown off if you are close to an inharmonius shade or hue. You could throw off the irritation. If you are hyper-sensitive or sick, for example, you may be more negatively impacted by muddy colors or those that trigger you in your stuff! But at any rate, choose your clothes colors with thought for what you are wanting to achieve that day. Make your house and furnishings reflect who you are through color. Eat wholesome foods--the colors of that, unless dingy or stale, make less difference than the nutrition. But large amounts of certain colors will also impact us through that color. You include many wonderful exercises in your book to help people to become more sensitive to energy, and I loved how you described these techniques in a really simple style. You don't have to be a rocket scientist to learn to work with energy, do you? Have you taught people from all walks of life, all backgrounds, how to work with psychic energy and understand its properties? Alijandra: Oh, yes, thank God one doesn't have to be a rocket scientist, or I wouldn't have made the cut! I have put a lot of effort into the manner in which I describe and lead people through the healing techniques. I gear the understanding level to approximately 10-12 years of age and up. I want to interest the young people in these teachings as I know from having taught a few of them in that age group that they are very skilled at doing the healing; they "get it." In class, the adults frequently choose the young ones to work with as they are often more naturally open to the energy and their intuitive abilities and can really channel it through. There have been people from all walks of life and backgrounds, yes. The overwhelming majority still seem to be what is termed "lightworkers" or the Rainbow Warriors we talked about earlier. I have found over the years that I teach the teachers. My work is still very new and pioneering in its scope. It has more often been more appreciated by the "specialists," shall we say, than the mainstream. But I could take a man or woman off the street with no background in the healing or metaphysical arts, and if they could keep their mind open and free of judgment, they could be taught to channel the color rays. Another thing I found really useful in your book is how you go into some detail teaching readers how to protect themselves from unwanted energy. After a healing session, for instance, you describe how you need to close the energy field of the person so that they don't run around soaking up psychic debris from their environment. During a healing session, the person's energy field is wide open, isn't it? I've heard many cases where a healing technique is demonstrated on someone at a workshop, but their auric field isn't closed afterwards, so the person actually goes home feeling out of sorts afterwards! They pick up gunk on the subway ride home. You're very clear in your book about how healers have a responsibility to use caution when healing someone and to protect and ground them after a session. Do you find that many of us are going around with our auric fields wide open? How important are shielding techniques? Alijandra: To get into a person's auric field, it has to be open. The healer can see to that by opening and closing the auric field. So, yes, it is indeed possible and probably common for the "healee" to be opened to the point where they are no longer shielded. Many people do walk around too open in regards to their auric fields. These are usually people who have difficulty with their personal boundaries. Shielding techniques are essential for everyone. As long as we have mixed energies to contend with, we will always need the shields to protect our electromagnetic selves from discordant energies. I loved your chapter on identifying psychic hooks and boundaries. Can you explain a little about what psychic hooks are? I've found that I'm very sensitive to them, and I'll bet other people are, too, without realizing it! So, you have put a hook into another person, they have put one into you, or there is a mutual hook. Hooks violate the natural boundaries we all should have. On a utopian world, or on the less dense levels of creation--such as the 9th or 10th dimensions, for example--there is so much blending of energy between the beings, and it's natural and feels good. Boundaries generally aren't issues there. But on a mixed world where negative and positive energies often exist side by side, we need to establish some form of boundary to our auric fields for protection. Unless one is completely immersed in 100% unconditional love (a natural shield) there are reasons to have protection to spare your mulitple bodies repeated violations or insults, shall we say. You include a lot of tips on how to do spiritual cleansing, clearing out your auric field and chakras to achieve greater balance. And you also include photographs of physical postures people can assume to connect with the energies of each chakra, along with musical notes and tones that correspond to each chakra. I like how you encourage people to get into their bodies with this work and not just have it all happen in the head and mental body! Do you find movement to be an important component in healing? How much do you use things like music or sound vibration to help in healing? Alijandra: Sound is the sibling to color or light. It has a massive influence on us and importance also in healing work. Musical notes and tones can balance our chakras and each of our subtle bodies. Movement is very important, just as it is in creation. Without movement, we become stagnant, and that "bothers" the Universe. Movement is on every level: physical, emotional, mental and spiritual. I wanted to take a moment, while we're talking about sound, to mention a special CD that you have available. You offer Dolphin Merging Volume One, which orients people to the healing energy of dolphins, right? Tell us more about your own adventures with dolphins and how this CD came about. Alijandra: For as long as I remember, I've had an intimate connection to dolphins. I could do a book just on my experiences! I will say that I have done wild dolphin swims in New Zealand and Hawaii. I have connected empathically with them in captured situations in theme parks and aquariums, vortex spots on the earth where they "came" in, and metaphysically in private energy experiences. Also, I've connected with whales through ocean trips. In my new book, Cosmic Chakras: Advanced Transfigurational Matrix Healing Techniques to Reclaim Your Divine Oneness, I include four techniques for energetically connecting with dolphins. Two of these are featured on the new CD, Dolphin Merging Vol. 1 put out last year. I have had good feedback on the CD and eventually will do a follow up CD with the other two techniques. On this CD, there is an exercise for merging our 2 frontal lobes with their 3 lobes which have more abilities than we do, and a technique on merging our pineal glands (which fosters a deeper spiritual understanding.) Of course, we are working with an etheric dolphin (such as an out-of-body state the dolphin would be in) rather than one in the wild or captivity. Although, I suppose under the right circumstances that would be possible with the permission of the dolphin selected. Just so people know, they can order this wonderful CD through your website. I myself have had a few experiences with dolphins and cetaceans, and each one took me to an incredible place of joy. I can highly recommend a CD like this which aligns people with those vibrations! Alijandra: Yes, they may order it through the website or through Amazon.com. I feel that people who are open to the dolphin energy will quite enjoy these exercises. In addition to maintaining your healing practice and your workshops, you are busily working on your second book. Can you tell us a little about it? Alijandra: Yes, the new book is called Cosmic Chakras: Advanced Transfigurational Matrix Healing Techniques to Reclaim Your Divine Oneness. I will say that it probably isn't for the novice healer but one with some background and experience already. But it is an important piece of work, as it goes into areas that I have never before seen presented by other authors or teachers. I trust that the information comes from Source as I have seen the techniques in action, and the healers report back such wonderful comments about how they work so well, beyond other techniques that they may have previously tried. I had spoken with you about your book earlier, and you mentioned that one of the areas that the material covers is the healing of the shadow. The shadow is such a powerful, mysterious aspect of ourselves, and I find that many in the holistic health community really don't want to "go there." So they sort of ignore looking at it. I find that it gets people out of whack, to ignore this aspect of our being. In fact, I don't know if you've noticed this, but a lot of healers themselves can disown the shadow aspect so strongly that it almost becomes a monster of its own, operating independently of them! I've found this especially true with "white lighters," people who try to be all "love and light" all the time. By focusing on just those energies, they become very polarized. All of their "positive" energy goes into their healing practice. Meanwhile, outside of their work, they can be very depressed, fatigued, or have a lot of chaos going on. Do you find that healers go through their own unique challenges in facing the shadow? What do you recommend that healers do to start incorporating the shadow so that they can achieve more balance? Alijandra: You have said it so well, there is really little to add. I have worked extensively with "white lighters" who deny the shadow energies, until they come up to bite them! Denial by stuffing them into Pandora's Box works briefly, until the there is a little stress applied, and then the shadows break out and run the show. Or the other extreme is a person who allows the shadows to dominate, and they are always in charge. My view of the shadow energies is that they need to be heard, then healed, brought into balance with the rest of the being, and then cleared. I find that, like children, they really don't want to run the show but to have "someone" they trust to listen to them, work with healing them, and then lead them. Speaking of the shadow, in "Healing with the Rainbow Rays", you talk about the power of the color black and its unique properties for healing. I was excited to find this, because black is actually a very powerful color, isn't it? It's sort of misunderstood. Alijandra: I am so happy that you have recognized black as the wonderful ray that it is! Vastly misunderstood throughout milennia, I suspect, but so incredible a transformer of stuck energy--there is nothing quite like it. It also grounds and tests us. It is the one ray that gets its own weekend class. It features throughout creation as the "dark matter" in space, the force that gives movement to universes expanding, the Tao ray that shakes up the status quo. That is why it may scare some people. As I say in my book, Healing with the Rainbow Rays, misuse of the color rays is always possible if the intent isn't good. And generally, those who have practiced what one calls "black magic" are people who manipulate the energies through the elements: earth, air, fire, water and ether. On your website, too, you have many wonderful articles about healing with color. I'll include a link here to the one you've written about the healing properties of gold and silver, which I recommend readers take a peek at. Do you consider yourself more of a gold or a silver person or a little of both? Alijandra: Thank you for appreciating the articles. Actually, I was always very heavy on the silver color. It took a few years and a fair amount of practice to bring the gold in to attain the balance between the two colors. Now, I have a good balance of the two colors, but not without some practice on my part. I want to also mention that you have a free ezine that people can subscribe to which contains many inspiring articles and links. Alijandra: Yes, we have a bimonthly free ezine which usually contains a new article from me and several articles from guest authors. There are often photos, artwork or poetry added. I will update people on when, what and where my classes are and other information. Your name is not sold or given out, so you won't have to worry it will end up on a list somewhere getting spammed! In your upcoming book, Cosmic Chakras, you'll be exploring some cutting edge themes. Can you give us a quick taste of what the material will be about? What are the cosmic chakras, anyway? What are you referring to when you use that term? Alijandra: I am very excited about the new book as it is a culmination of the last seven years of gathering material, primarily from Source, and then testing the techniques out in a classroom setting. Material ranges from the shadow emotions chapters to ourselves as the Matrix; from earth oriented connecting to nature and our solar system to multidimensional chakra linking; from introducing some "new" rays to the atomic restructurers; working with most of the organs and glands in depth to atomic acceleration and much more! It is named Cosmic Chakras because all of our chakras are actually cosmic in origin. 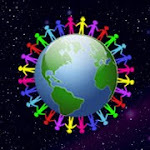 We are all linked on a universal grid of Oneness. It sounds like this book is going to be a wonderful counterpart to your first book, Healing with the Rainbow Rays. You're sort of taking the material to a more advanced level, working with a different dimensional focus. Do you feel that it's time for this material to be released on the planet? It seems like a lot of people are waking up to understanding things from a quantum perspective now, exploring quantum physics, holographic theory, and that place where science and spirit intersect. Alijandra: Sometimes I will admit that I wonder if my timing on getting this material out is too soon, but pioneering means just that--breaking new ground, finding new possibilities. Quantum physics, hyperspace and holographic theories stretch our stubborn boundaries and insist that we be willing to be open to other ways of looking at life. I have often said that the metaphysical person often has more of an adjustment wrapping their brain around these new concepts than the quantum scientist and sometimes must stretch farther to connect with the quantum view of things. The quantum material sounds even more "absurd" than typical metaphysical belief. Both views must be able to meet on common ground. Well, I'm very happy that you've taken this time to discuss these healing techniques with us and to share some of your experiences with us. When do you estimate that your new book will be out? Alijandra: I hope to have it out by spring 2005 at the latest. It has been approximately 7+ years in development, and is very cutting-edge in the material. It is the next stage for healers and their clients, and for healers and themselves. And in the meantime, people can check out your website, sign up for your free newsletter, and look for your dolphin CD and Healing with the Rainbow Rays, which they can order off your site. 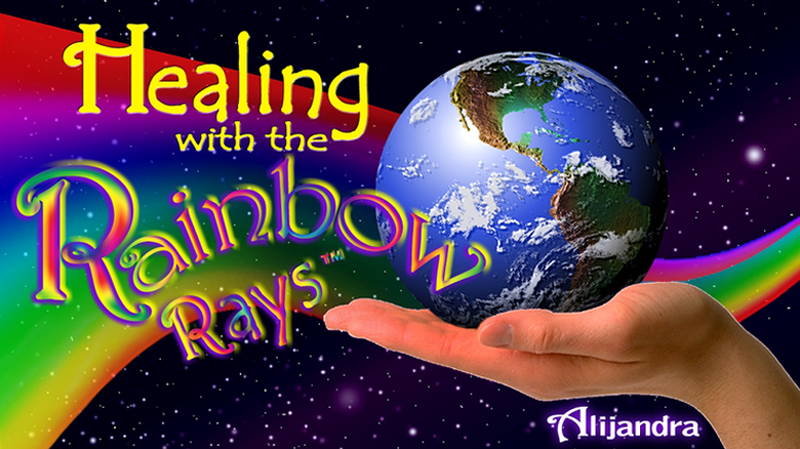 Alijandra: Yes, my site is "Healing with the Rainbow Rays" at www.colorhealing.com. There is a lot to see there, as I have posted many articles (some from the books, some not) and guest articles, as well as the free bimonthly ezine, past issues and just some fun pages to pursue. And of course you may order the audio tapes and dolphin CD, the Healing with the Rainbow Rays book, also the Portuguese translation of the book. When the new book, Cosmic Chakras, comes out it will also be available through the site. I hope you'll make a return visit with us here at LipstickMystic.com when it's time to release the book. I'd love to do a follow up interview with you then. In the meantime, I wish you the best with your projects and lots of creative energy for completing your book! I know how challenging it can be writing a book, and this one sounds so exciting. Thanks again for chatting with us. Alijandra: Thank you, Jennifer, for the opportunity to connect with you and your readers. And thanks so much for the support and understanding you have shown my work.